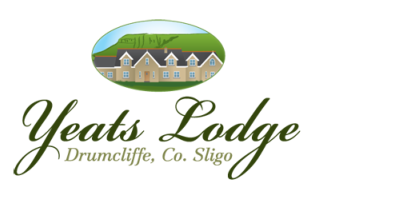 Yeats Lodge B&B is located 8 kilometres from Sligo just 300 metres off the N15 Sligo Donegal road. From Sligo take the N15 north, pass Drumcliffe Church and take the first little road to the right just after Davis’ restaurant. Yeats Lodge is the first house on the left. Take the N 15 south. As you enter Drumcliffe, just after the speed limit sign take the first little road to the left and Yeats Lodge is the first house on the left.